MainAll NewsForeign AffairsWill Russian-Jewish billionaire receive UK visa? Will Russian-Jewish billionaire receive UK visa? Chelsea soccer team owner Roman Abramovich unable to enter UK over visa issue. 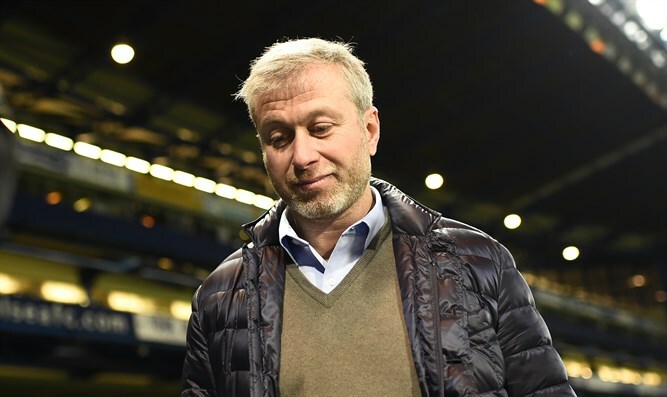 Russian-Jewish billionaire businessman Roman Abramovich, who owns the British Chelsea Football Club, is unable to enter the United Kingdom after his investor visa expired. Abramovich’s visa reportedly expired last month and his current visa is still being considered, The Guardian reported. His previous visa was granted before more rigorous regulations were instituted in April 2015. He will face tougher standards when reapplying for his new visa, which he will have to do from outside the United Kingdom, most likely in Russia. Abramovich will also have to explain the source of his wealth in order to receive the new visa, according to reports. There is no evidence that Abramovich has done anything wrong, but the United Kingdom has scrutinized Russian businessmen and diplomats more carefully since the poisoning of former Russian spy Sergei Skripal and his daughter Yulia in Salisbury, England, in March. Several Russian diplomats were expelled following the incident. The Kremlin said in a statement that Russian businessmen often encountered “unfair and unfriendly” approaches when applying to come to the United Kingdom. Abramovich missed his soccer team’s Football Association Cup final victory over Manchester United at Wembley Stadium in London on Saturday night. He has owned the team since 2003 and has been present at nearly every game, until his visa problems began. In 2017, Forbes estimated Abramovich’s net worth at $9.1 billion, making him the 139th richest person in the world. He is Russia’s 12th richest person.